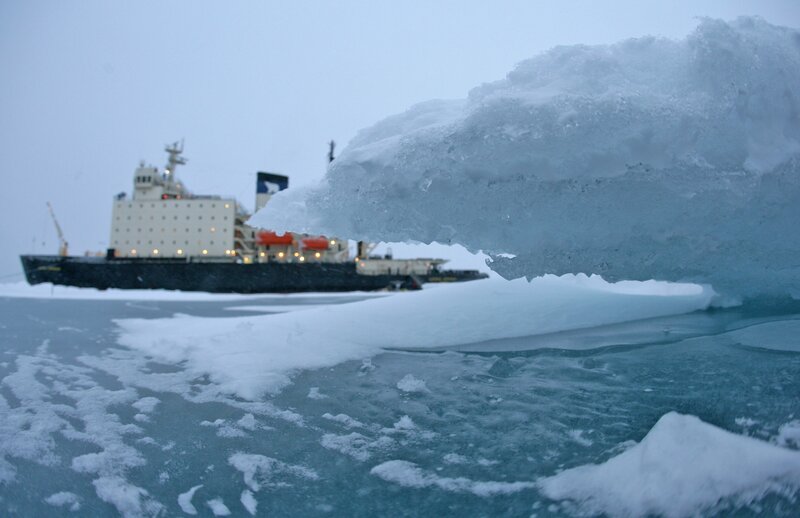 A push to grown shipments along the Northern Sea Route to 80 million tons by year 2024 will be among the commission's top priorities. Russia’s new state Commission for the Arctic will have work to support President Vladimir Putin’s new top priorities in the region, including efforts to boost the shipment of goods on the Northern Sea Route to 80 million tons by year 2024. Deputy Prime Minister Yuri Trutnev is commissioned to lead the work on Putin’s priorities for the Arctic. Trutnev, who is also responsible for developments in the Russian Far East, last week assembled government ministers and regional leaders for a first meeting the country’s new Arctic Commission. The commission was formerly chaired by Dmitry Rogozin, the controversial deputy PM who is now head of Russia’s space agency Roscosmos. With the government reshuffle that followed Putin’s reelection of Putin, the former Arctic Commission was dissolved. Even the commission website was closed. Putin’s call for an increase of annual Northern Sea Route shipping to 80 million tons by year 2024 will be the new commission’s main priority. That ambitious goal for Arctic shipping was laid down in Putin’s May Decree, the document which outlines the top strategic development objectives for his fourth term in office. According to Natural Resources Minister Dmitry Kobylkin, liquefied natural gas and coal will constitute the lion’s share of the Arctic shipping boom. “By year 2024, the production of LNG might reach 32 million tons, condensate and oil — 9 million tons, coal — 19 million tons and other goods — approximately 3 million tons,” Kobylkin said. “In other words, there is about 63 million tons of goods only based on the natural resources in the region,” Kobylkin added and made clear that there is also a major potential in shipping of goods from other regions through the route. According to the minister, the projected new railway line across the Yamal tundra, from Bovanenkovo to Sabetta, will provide additional cargo and goods for the Northern Sea Route, a press release from his ministry reads. Kobylkin also shared other ideas with commission members last week, including the re-establishment of drifting Arctic ice stations. Kobylkin wants to establish a North Pole-41 drifting station for the 2018-2019 ice season. But this time will be different, Kobylkin made clear in the commission meeting. He wants the drifting stations not to be established on ice floes like before, but instead let the icebreaker Kapitan Dranitsyn freeze in the ice and drift with the currents. The drifting stations are the most efficient way to study the Arctic, Kobylkin said, and underlined the he has the support of Artur Chilingarov, Russia’s grand old man in Arctic affairs.